Many, many people in my personal life are supporters of my belief that I am naturally creative. In fact, some of those people planted the belief in the first place. I’m lucky. It seems as though I only run into people, things, circumstances that support my belief. Do I look for those types of reinforcers? Is that my expectation, so that’s what I see? YES! I seek out friends who are champions of me and cheerleaders for me, and I expect to the world to be a welcoming place that’s safe for creative risk-taking. But even though the belief was planted within me early on – giving me a little bit of a head start in the “I AM creative” process – I still had to do a lot of work around internal saboteurs to get there. And some of that work revolved around how to deal with external saboteurs of creativity. What is an external creativity saboteur? Let’s start with what I believe it’s not. It’s not the editor who rejects your poem, it’s not the bad review, it’s not the boss who asks you to re-do your report and it’s not the dinner guest who won’t eat your onion and oyster stew. Those are the external people/circumstances that trigger our internal creativity saboteurs – and we talked about those in a recent blog post. The external creativity saboteurs are those (hopefully rare) people who try (often not even on purpose) to destroy your belief in yourself and/or your creations. 1. People who want to change/reinvent/interact with your creation too early in the creative process. 2. People who want their own ideas to be chosen over yours. 3. People who focus on what’s wrong first, rather than what’s right. 4. People who are scared for you – don’t want you take a chance and get hurt, etc. 5. People who are scared for themselves – and see your creativity as a reflection on them. I had never thought much about the external creativity saboteur at all, instead focusing on the internal creativity saboteur which is triggered by the external, until I took a survey among my friends in creative professions – people who put their creativity out there on a regular basis. I asked, “What’s the single most important piece of creative advice you can offer someone who doubts their own creativity?” One of the answers I received was: Protect your creations. With claws and fangs if necessary. Clearly, with my perspective that everything comes back to the internal saboteur, this answer surprised and intrigued me. I thought, gee, well, you’re supposed to listen to others, take and even incorporate their feedback. If you don’t, you’re being defensive, closed, ego-driven – you’re assuming you know it all and that is not a great place to be if you want to expand your creativity. But in reality, showing an idea too early, allowing too much feedback, being too open to others’ ideas, can really destroy a creation. At the least, not give it a chance to develop with only your own imagination guiding. 1. Avoid getting input too early. Allow your creations to develop with you as the only influence. 2. Understand that not everyone wants you to succeed. For all kinds of reasons – some conscious, some not. The point is to be YOUR OWN advocate for your creations, to stand by them, to not be bashful pushing for them. 3. Do your internal saboteur work. When faced with external saboteurs, make sure to watch out for your internal saboteur. 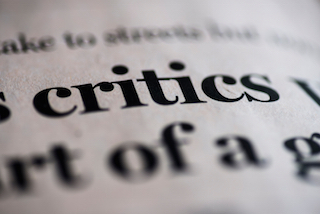 For dealing with criticism, ask yourself, what am I making so-and-so’s “negative” comment mean? What else could it mean? How else could I see this? What do I really believe about my creativity and my creations? 4. Trust yourself, go with your gut. Know that you, more than anyone, understands your vision and sees what is possible. It’s true that you may not see everything or have considered everything, but trusting yourself is key to ending the second guessing game and actually getting your creations produced. At a certain point, we all must end the “input getting” phase whether that input is coming from others or from our own heads. Allowing yourself to go with your gut in the end is a great way to support your belief in your creativity.